1) Do your homework - and do homework corrections! When you’ve hit a wall and just don’t get how quadratic factorization or inverse trig functions or systems of linear equations work, look around you and find a person to answer your question. Your teacher is always a good resource, but they are not the only ones. Your classmates can be incredibly helpful, and schools often have a homework help center that you can head to during your free periods. It’s so much better to get your questions answered throughout the course of the unit than to realize, the night before the test, that you have 50 different questions. Which brings us to, what can you actually do the night before the test? Teachers may sometimes allow you to bring a small index card with formulas and definitions to the test; the reality is, even if they don’t let you use such a card, the simple act of making the card – deciding which formulas and definitions are crucial to the unit and writing them down – helps you remember the information in the long run. Studying for a math test is about much more than memorizing. The true demonstration of knowing the material is if you can apply your knowledge through solving problems, not whether you can recall definitions. And make sure you replicate some of the stress and time-sensitivity that the test-taking environment will include – particularly if you are prone to test anxiety. This can be as simple as choosing 5 problems that are similar to those you will face on the test and giving yourself 20 minutes to solve them by setting a timer. Math success comes most readily when you work towards success throughout the course of a unit – or even the entire year. Don’t put yourself in a position of panic the night before a test – instead, bolster your success through consistent, daily math practice! 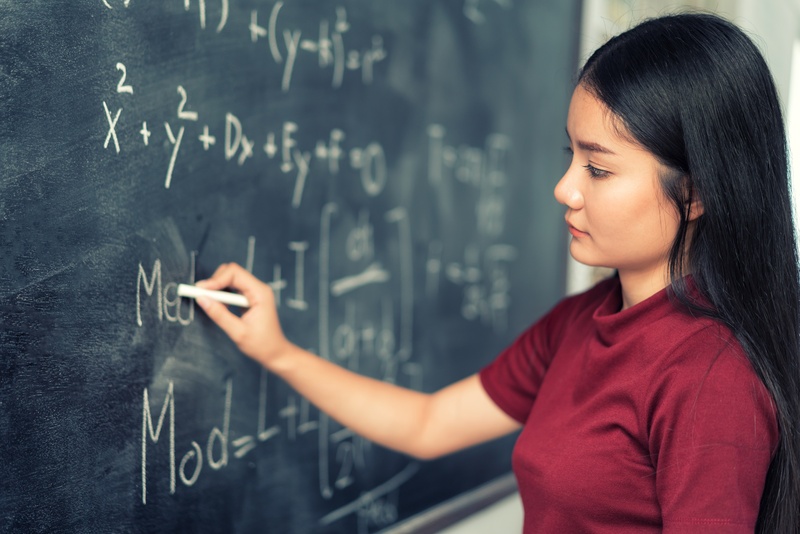 Do you feel like you could benefit from a mathematics tutor? Feel free to contact us and get matched with a tutor in Boston or New York, or online anywhere in the world! Craving more on mathematics as a subject?